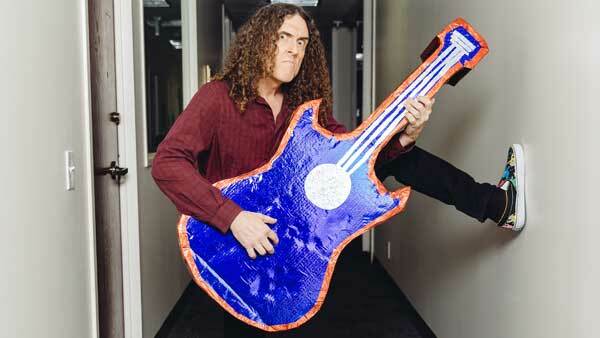 HOUSTON (KTRK) -- "Weird Al" Yankovic, the beloved singer of "Like a Surgeon," "Amish Paradise," and "White and Nerdy," comes to Houston with the return of his Mandatory World Tour. The Houston show will be held on Thursday, July 14, at Brown Theatre at the Wortham Center. Fan club members can score tickets on Wednesday, February 24, at 10am at weirdal.com. General sale will start on Friday, February 26 at 10am. Tickets for the Houston show will also be available at livenation.com. "Weird Al" says of this tour in a release, "I've decided to do the Mandatory World tour for one more year, after learning that some people didn't make it out to the show this last time around. Apparently, they don't know the meaning of the word 'mandatory'!!" The tour, which starts on June 3, will feature Yankovic's latest comedy album "Mandatory Fun" and visit 79 cities across North America. In Texas, "Weird Al" will also visit Corpus Christi's Selena Auditorium at American Bank Center, Dallas' Winspear Opera House, and El Paso's Plaza Theatre of Performing Arts.